Unique and beautiful screen-printed tee-shirts are fun. If you're a professional, you know this first hand, but even if you're not a professional, you can create your own designs and print really nice quality items without spending a bunch of money on equipment. 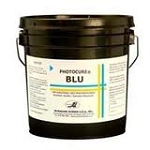 All you need are the right screen printing supplies, and that includes photo emulsion supplies. Here's what you need to know. SP-1400-GAL DIAZO EMULSION -1 GAL. Photographic emulsion is a light-sensitive gelatin with silver halide crystals suspended in it. Note that in some cases, different crystals can be used, but this tends to be the most common option. In other words, photo emulsion is photosensitive goo and an activator. The activator increases the light sensitivity of the mixture by using chemical sensitizing agents and dyes, and this allows the design to attach to surface of your mesh or screen. 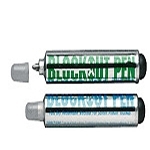 Typically, the photo emulsion product needs to be prepared or "activated" before you use it. With most brands, this is an easy process. You simply add the sensitizer to the photo emulsion and mix until combined. Note that your bottle of sensitizer may feel empty, but it's not. It's just a very lightweight substance. You can do this in normal light. You don't need to be in a dark room. 4. Expose the clear material to light. This causes the photo emulsion to activate and bind to the transparent part of your design. The emulsion will stay water soluble near the black part of your design. 5. Spray down the screen. This washes off the emulsion from the black areas. 6. Lay the screen on your fabric and apply ink in your desired colors. 7. Press the ink through the screen and watch the image appear on your fabric. As there are different types of photo emulsion products, there are a few elements you may want to consider as you compare different options. Ideally, you should look at the curing time and make sure that it works with your needs. For instance, some Diazo emulsions take about 15 minutes or longer to cure. Also, remember that when you use photo emulsion, it essentially makes a stencil. Think about the thickness of the stencil. If the emulsion yields a very thick stencil, it will be best for designs with broad strokes and clear lines. For detailed work, you need a relatively thin stencil. Finally, consider the shelf life once mixed. If you do a high volume of screen printing, you may be fine with a relatively short shelf life, even for bulk orders. In contrast, if you only do a small volume of projects, you may want small containers and/or longer shelf life. To learn more, start ordering photo emulsion products or contact us at American Niagara directly. We can help you.